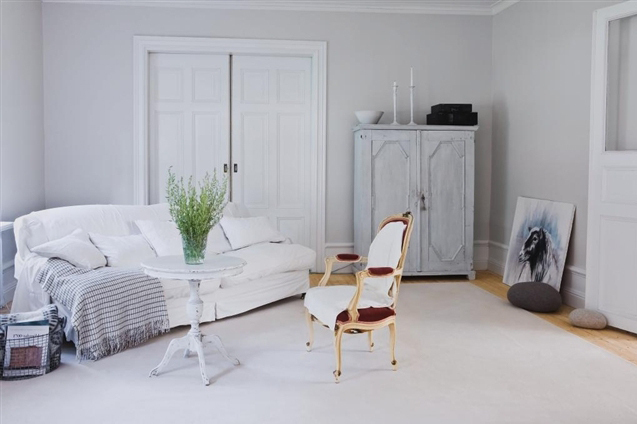 Can our Nordic friends do any wrong in the home decorating department? 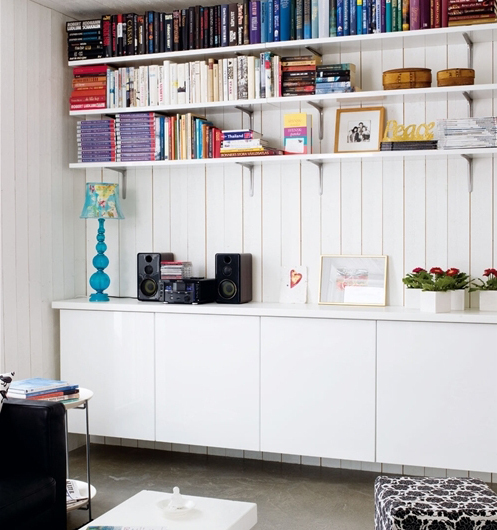 I've always been drawn to the laid-back style and "well-loved" aesthetic of their homes. 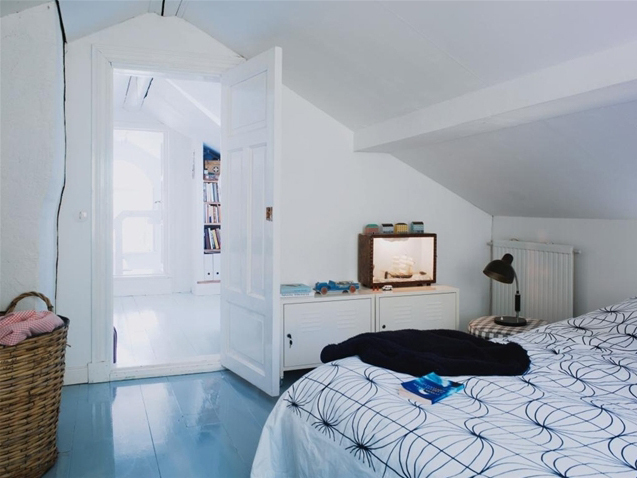 Love this sparse simple bedroom. I'm really finding that the simpler my bedroom is, the more calming it is. Looks like arranging your book by spine color is still a popular thing. What do you guys think? Do you think the trend will last? Looks like they do color pretty well too! 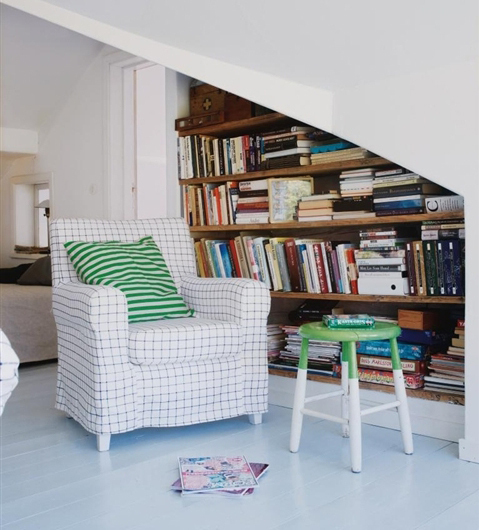 Such a sweet nook and a good use of an otherwise odd space. 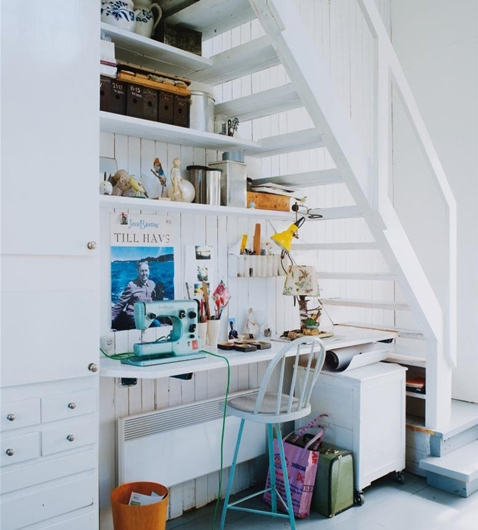 Another good use of space - a sewing nook under the stairs.